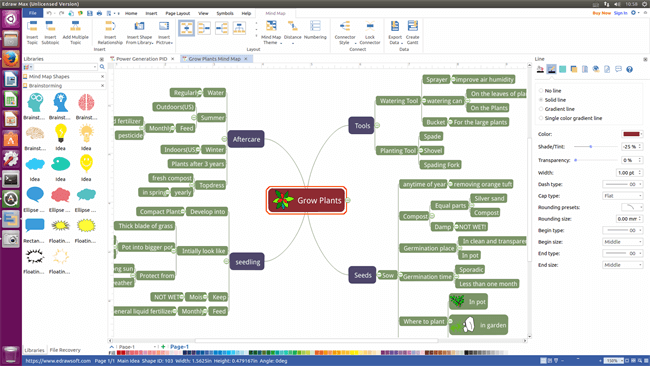 Mind map software for Linux is not just a mind mapping tool but also a full suite of applications designed to help people work with brainstorm better. Edraw mind map software for Linux is an affordable and simple to use mind mapping tool that's easy to get started with. Simply drag and drop the mind map shapes you want and start your drawing process or just select a built-in mind map template if you do not want to waste time. Below are key features of our Linux mind map software which will explain why Edraw is one of the best mind map maker among so many diagramming tools. 1. Cheap price with lifetime upgrade guaranteed makes it affordable for not only for big companies but also common users. 2. 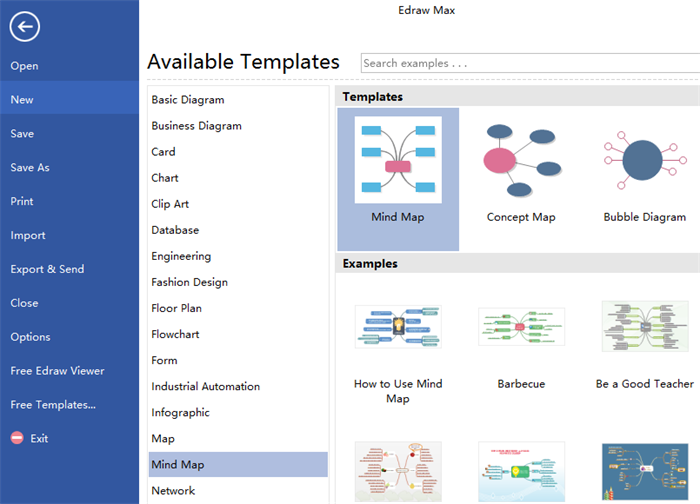 A variety of built-in mind map shapes and templates are offered for users to free drag, drop and edit. 3. A set of drawing tool is provided for users to design shapes according to their own needs if they are not satisfied with built-in shapes. 4. Attachments insertion makes mind maps tidy in visual effect but rich in contents. 5. 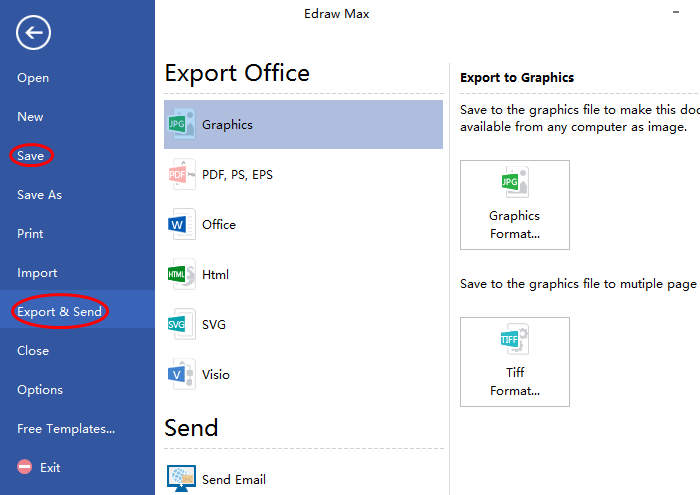 Sharing diagrams with others can be finished with just one button by exporting diagrams to commonly used file formats. 6. It is an all-in-one diagram program which is not only capable of creating mind maps, but also able to design flowcharts, uml diagrams, charts, business diagrams, etc. Edraw mind map software for Linux provides various free vector mind maps shapes and a set of drawing tool for users drag-and-drop or free design their own shapes. Just edit built-in shapes to fit your needs if time is limited. 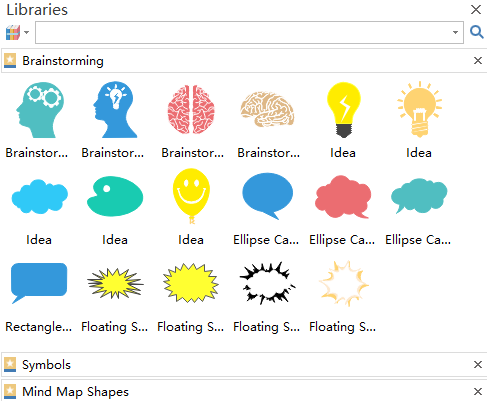 And users are allowed to design their own special shapes and save for future use with embedded drawing tools. Follow below 4 simple steps and create your mind map on Linux with just a few seconds. Run the software, go to File menu > New > Mind Map and open a blank drawing page by double clicking the icon of Mind Map under Templates page. Drag proper mind map shapes from left libraries and drop on the drawing page. Double click the shapes to type your central concept in. Developing the sub branches around the central concept by clicking the floating button directly and add the key points. Differentiate sub topics with different colors, symbols or images will make diagram more impressive. Go back to File menu again and save or export the mind map according to your own needs. Here list 3 mind map examples professional created by our mind map software for Linux. Just feel free to download and customize them to your own mind maps if any interest. Getting awards is one of the happiest moment for all students. With this clear camp awards criteria mind map, they can know how many awards there are and how to get them. Every girl wants a dreaming wedding. 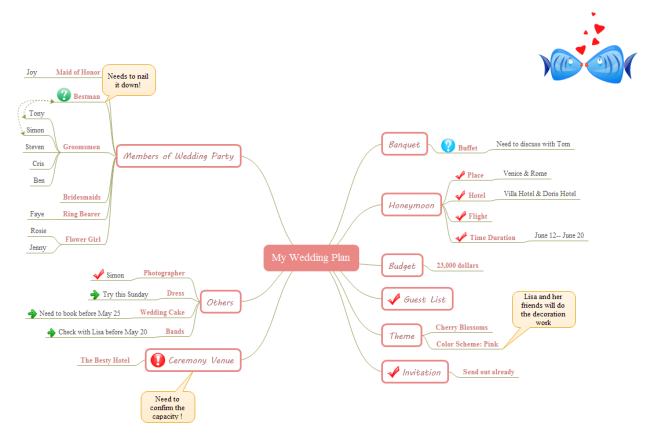 Try to plan your wedding according to this wedding plan mind map and make sure everything go on smoothly. Being a successfully business man, the first thing is managing his time properly. 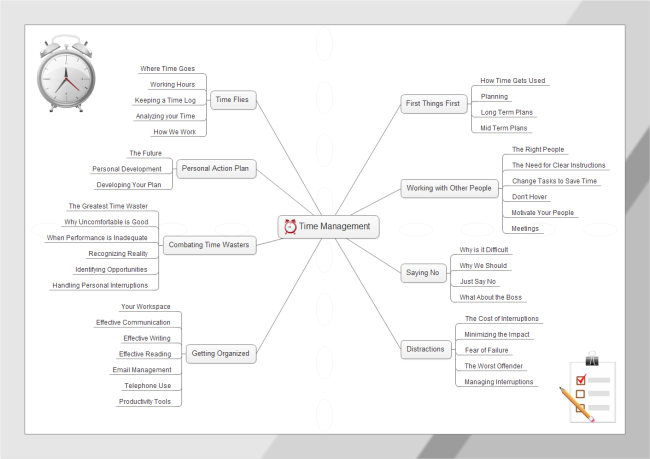 Creating a time management mind map like below is one of the best ways to make the utmost of time.